Producers on the film include: Daniela Taplin Lundberg (“Honey Boy”, “The Kids Are All Right”) of Stay Gold, Riva Marker and Jake Gyllenhaal of Nine Stories, Eva Maria Daniels of Vision Chaos, Cary Fukunaga of Parliament of Owls, Ryan Ahrens of Argent Pictures (“Hacksaw Ridge”), Wahlberg, and Stephen Levinson. Argent Pictures and Hercules Film Fund are co-financing the film, with Argent Pictures’ Jill Ahrens, Ben Renzo, Tony Parker, Derick Brooks, Michael Finley and Drew Brees executive producing. Ossana and McMurtry will also serve as executive producers, and Paris Kassidokostas-Latsis, Terry Dougas and Jean-Luc De Fanti will executive produce for Hercules and Rhea Films. Endeavor Content is handling worldwide sales for the film. Britton stars in the critically-acclaimed film, “The Mustang” starring Mattias Schoenaerts. She’s received Golden Globe nominations for her roles in “Dirty John” and “Nashville,” and earned Emmy nominations for “American Horror Story,” “Nashville” and “Friday Night Lights.” She is set to star in Jay Roach’s upcoming untitled Roger Ailes film also starring Charlize Theron, Nicole Kidman and Margot Robbie. She’ll also appear in “Promising Young Woman” starring Carey Mulligan and Alison Brie. 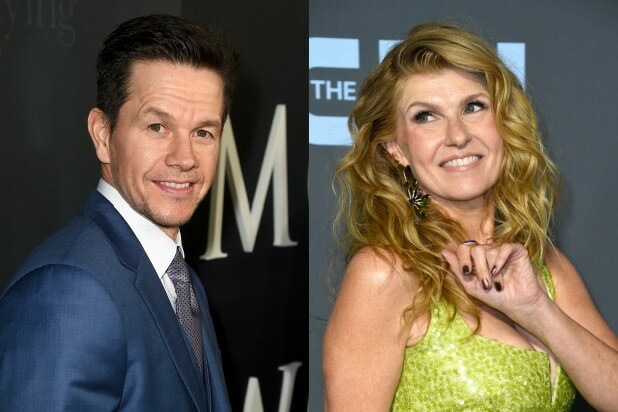 Wahlberg is repped by WME and Leverage Management. Britton is repped by WME, Untitled Entertainment and Hansen, Jacobson, Teller, Hoberman, Newman, Warren, Richman, Rush & Kaller. Green is repped by WME. Ossana and McMurtry are repped byUnited Talent Agency, Anonymous and Robert Thorne and Gregory Redlitz. Miller is repped by Osbrink Talent Agency and The Green Room.